"A great platform -- easy to use and manage! " The Allbound platform is designed intuitively for both the user and the administrator. It takes just a few minutes to upload content and/or create a new page. It’s easy to provision different views of content to specific users, and as a result we are using the Allbound platform as both a partner portal and an internal sales portal. We had some unique requirements to complete our integration and the Allbound team was willing to do whatever it would take to make the integration successful. Additionally, we have an Allbound account manager who monitors our site and checks in with us regularly – a great benefit and service. We continue to receive positive feedback from our partners and internal users. It’s an excellent platform and has helped us bring greater value to our partner community, worldwide. We are very pleased with the Allbound Platform and service and we don’t have a dislike to share, but we are looking forward to additional functionality being made available on the platform in the near future (example: the ability to co-brand assets for joint marketing initiatives). I highly recommend the Allbound platform to others looking for a scalable partner portal solution that takes minimal time and resources to launch, is easy to manage and administer, provides an excellent user experience, and enables your partners to access or find what they need quickly. Our previous partner portal had very poor search functionality, was not scalable, was difficult to navigate as a user, and was very time consuming and complicated to administer and manage – requiring a third party to make any required changes outside of posting content. We had similar issues with our internal sales portal. Allbound enabled us to transition both our internal sales portal and our partner portal to their platform resulting in saved time, saved money (Allbound is very affordable and we also were able to cut costs by switching from two separate platforms to one), the ability to manage the Allbound platform internally with no further need for third party support, and a substantial increase in use by both our sales and partner communities. We are very happy with our work with Allbound. Their teams are great to work with and super supportive. The features are very easy to use and relatively intuitive. It only took a few weeks for us to get up and running. We continue to innovate around our use of the platform, and every month it becomes even more integral to scaling our partner programs. I have used several competitive platforms while at other companies, and Allbound is the easiest to use. It is relatively cost effective as well. There is very little to dislike about Allbound. The platform accomplishes 90-95% of our needs, and they continue to evolve and improve the platform on a regular basis. There is a little bit of a learning curve, but it much easier to use than other platforms on the market. We found it easy to work with the team at Allbound, and it was relatively easy to get up and running with the platform. We are very happy with our 1st year with Allbound and we are currently renewing for a second year. I'm happy to share my thoughts with anyone. Allbound has become with one of the central tools we are using to manage our partner portfolio. We have been able to streamline communications and information sharing, create a repository of materials to help the partners be successful and we are are starting to drive more sophisticated like playbooks and training. Big time and cost efficiency is being realized. Allbound PRM is a great resource we use for our partners, employees, and clients. Being able to set permissions for all documents is one of the best features involved with Allbound. I like how easy it is to up upload documents and videos to the website for use across the board. Allbound PRM is integration friendly and translate to different languages as well. Allbound's support is always there for and responds quickly when I have any questions. There is not much to dislike about Allbound PRM, but I think I would really benefit if they provided the dimensions the featured image should be for postings. I also would like it better if you could reorder postings in an easier way rather than going through and changing the time of the posting. Allbound's PRM backend is very similar to a WordPress webpage. So, if you have experience with that, you will be able to figure this out without a problem. Our CSM is also readily available when needed and goes above and beyond for us. We have even been able to launch a Portuguese portal for our Brazilian employees with the help of their team. Allbound PRM is also integration friendly as we have just finished an integration with our CRM. Allbound PRM has allowed us to have on place to put company documents, training videos, and more. It helps take the headache out of sending different documents to many employees because they are all uploaded here. It's almost like a fancy Google Drive with way more bells and whistles. "Great platform with exceptional service and team"
Highly recommended! The team is friendly, knowledgeable and cares about the success of your business. The on-boarding experience was one of the best I've ever been through and the product is able to support our needs. Allbound is receptive to feedback/requests and goes above and beyond to find a workable solution to fit your internal processes. I've worked with many software providers in the past with either a product and/or support issue. It's clear that Allbound has made it a priority to excel at both. There's nothing to dislike about the product or the experience of using it. If you're serious about implementing a PRM and dedicating time/resources to its successful implementation, you'll have nothing but a positive experience. Implementing a successful partner program is challenging in itself. Working with Allbound makes the process easier, not simply because the software does what you need it to, but because the team will ensure your success with it. More efficient management of partners, their content, and pipelines. It's now easier for our team to distribute content/materials and track clients that they're pitching. Additionally, this gives us insight into what our partners are doing and allows us to be proactive with support and communication. We love that there is unlimited storage included with this. It allows us to share a ton of content with our partners. We also love the training section as it allows us to save time and money, yet ensure that our partners a properly trained. We don't like that you can't see who uploaded what document. It makes it difficult to double check that certain users are uploading documents correctly and with the correct roles. It is also a little bit difficult to figure out how to properly create groups within the platform. Express all of your needs upfront and they can tell you what they can and can't do as well as come up with work arounds to accomplish your goals. I think Allbound is a great platform and their customer services is amazing. The portal gave our partners access to our company documents and sales material. It also includes a ton of training features to help train our partners. Before this partner portal we were bogged down with emails and often had staff using outdated documents from older emails. It also made entering leads into our third party CRM automated and eliminated the need for a more manual email based process. "Great Team and Great Product"
I work in an industry where folks (partners included) are not the most versed in software solutions. The ease for them to create their account and navigate the platform is crucial. Having visibility into the actions of my partners prior to them referring a lead or finalizing the sale of our product has been a night/day experience. I have not run into much with the company that I dislike. Any questions I have, they are very responsible and always willing to schedule time to connect and discuss how my experience is going/ how to make it better. Allbound helps significanly with managing the pipelines of all my partners, increases engagement throughout my entire channel, and helps me with reporting to my executive team on the health of the channel. Our company was searching a partner portal solution that would be quick and easy to implement: Allbound was all that and more. With a price point that can't be beat, Allbound has helped our company create a sleek interface, customized to the specific needs of our industry and our business. Do-it-yourself marketing content customization would help make this platform unbeatable and strengthen our capability to serve our partners. We reviewed many PRMs, all with their pros and cons. Allbound was the right solution for us because of the size of our team , the ease of use and price points. Allbound is a rapidly evolving platform and we are excited to evolve with them. Our partner marketing team is small, and Allbound has helped us do more with less while empowering our partners to take their marketing and sales efforts to the next level through easy, anytime access to training and content. "For the Tech Savvy and Budget Mindful"
The best part about Allbound is being able to control nearly every facet of the portal. Out of the box it looks really clean and polished. In the back end, the engine is pretty straightforward to navigate and customize the way you like. Their dev team has been fantastic in maintaining a consistent release schedule and taking requests for new features. The one drawback from Allbound comes from their nature of being a startup - a few processes aren't quite as "there" as with the bigger companies. At first, the customer support was kind of all over the place, but after a month of being onboarded with them, they totally turned their process on its head and it's been flawless since. Their ability to pivot as a startup far outweighs the drawbacks. Their pricing can't be beat for the level of quality. Make sure your SFDC or other CRM team is on all the calls and feels a sense of urgency in standing up the platform. Having a PRM that the most technically illiterate partners can use. Our previous PRM was basically just a data repository - a glorified hyperlinked word document that linked out to our Google Drive where we shared documents. Allbound looks clean and the search function is great. They've worked with us to fit our needs to make the simplest platform for our users to navigate. Engagement is massively higher than our previous one, and I'd 100% attribute that to the ease of being able to locate relevant content. Excellent platform. We evaluated 4 different options and chose Allbound based on price, depth of features and licensing model. Once everything is up and running, really easy to maintain. Everything syncs with Salesforce, so our internal users can manage everything in the CRM. Great team to work with. Quick response times to any issues. They even added feature suggestions we made. Not much. Some of the form customizations need to be done by their support, so would be nice to have easier access to do it ourselves. But their response is really quick, so not a big issue. Great people to work with. Customer Success excellent. "Great solution at an unbeatable price point"
Allbound is very easy to implement and the learning curve for end users is very shallow. The product kills three birds with one stone, unlike any other solution I have seen; (i) centralized sales and marketing content for internal users and partners; (ii) lightweight LMS, and (iii) full-featured Partner Relationship Management solution with tight integration with Salesforce. There are also some light-weight features for microsites to share content with prospects and customers. Love the home page and overall aesthetics and interface design. Also great company to work with, great attitude and very capable leadership team. Allbound has some growing to do in certain functional areas, and is not going to go super-deep on LMS and content management features, but for the price and also for a solution that is so rapidly deployable, it's not really a problem to sacrifice functionality in the near term that will eventually be added by the Allbound dev team. Better to take advantage of great pricing now and then benefit as new features are added. You will definitely find more functional content management and LMS solutions out there, but will you really use all those features? And at what cost and complexity? Strongly consider this product as a way to deliver on multiple priorities with a single product at a very attractive price for unlimited users. Initially rolling out to sales for internal centralization of all content. Great feedback so far. Will ad partner capabilities shortly. "Say Goodbye To Your Old Partner Portal. Allbound Is All That - And More!" You can get up and running quickly, and it also grows with you. We needed a quick replacement for a hard to use internally developed portal. Allbound's solution can work for anyone out of the box, but working with Allbound's customer success team is what makes it stand out. We've had 2 different customer success managers over the last 12 months and both have been top notch, responsive and helped find solutions to our objectives. I wish it had an integration with box that would allow us to connect large volumes of product images. The product image gallery function isn't very robust. If I'm nitpicking the 30MB video limit is annoying, but we use Vidyard and Wistia so we just use those links instead. Replaced old partner portal that was developed internally. Added ability for partners to share content directly with customers. Added training component via learning tracks. Gained user level usage data / insight. There are several reasons that we chose Allbound as we were updating our partner program. First of all it has a modern look and feel and was able to be customized in a self-service manner. I am able to leverage contributors from different parts of our organization to update and curate content specific to their areas of specialization. I also had a high degree of confidence in the Allbound team to partner with me to ensure the success of the deployment. We did not have an easy-to-use "one stop shop" to communicate with and collaborate with our partners. Our legacy systems were not federated and the level of effort was high to make adjustments. Deploying Allbound has allowed us to become closer to our partners and drive increased momentum. The feedback we have received from them has been terrific. I like having a slick looking portal that I was able to quickly deploy. I wanted something that was mostly pre-built so I wasn't reinventing the wheel. I needed to be able to focus my efforts on getting my channel selling and not spending a bunch of time designing a portal. I think they nailed the mark. There is a bit of a learning curve when it comes to learning some of the roles. Some of this is certainly related to me being a business owner that also is doing the administration piece. Make sure you plan out on paper how you want your partner program to map to Allbound. It's not hard to do but does require some planning. Needed a platform to enable partners, share content and drive leads. I've been able to accomplish this in short amount of time. Plus I can start to plan for some of our future needs. "Everything we need for our partners, from onboarding to maturing." Allbound does a great job of laying out the information that is most relevant to our partners and allows us to cater the right information to the right partners based upon their industry and expertise. The Quiz/Testing solution can use some updating. It is fine for what we need right now, but would be great to see some improvements hear as we build out certification programs. As a new company and partner program, having Allbound there to help bring new partners into the family has made all the difference. I don't know how we would have on-boarded so many partners in such a short time frame without Allbound. "More than we expected! " We initially went down a path to search for the most fully featured Partner Sales Portal in the market. We looked at many. Did demos of each. Assessed Features vs Costs across all contenders. We unanimously decided on Allbound! Hands Down the Best feature-rich, cost-friendly solution we found. Not only did this solution meet and exceed all our requirements for use in our Channel Partner endeavors but it has unexpectedly become a much loved and "used-daily" tool for our internal sales teams! Even our Marketing team members jumped onboard and took advantage of the ability to completely customize the "skin" of the portal and additionally use the Library as the main repository for all of our content and brand materials. We were up and using the platform in mere weeks with a ton of support from the Allbound Rock Stars every step of the way including integrating with our CRM (SFDC). Honestly can't say enough about the incredible experience from first contact with their salesperson (KG) all the way through provisioning/implementation with (SN, TD and team). We don't have any dislikes however we've recommended a few features for them to consider adding to their Product Dev roadmap and they have been super attentive. Research all the contenders and surely you will find after rigid feature to feature comparison and the bottom line costs....Allbound is the ONE!! Initially we wanted a better way to manage our Partner Channel sales efforts and then realized how valuable this platform is across many of our internal sales and marketing endeavors. "Great tool, great service, great value for money!" The Allbound team are very easy to work with, they listen and want to understand what your business goals and objectives are and help you realise them in a timely manner. Their licensing and pricing model is exceptional, no hidden costs on support and implementing which is a revelation compared with other products out there in the market. But the biggest thing is the ease in which you can get the platform up and running in a few weeks, not months. There a few details that aren't available yet, but when you talk it through with the Customer Support team, I am reassured that these features will be considered and can be developed in time. Be clear in your own needs and goals so that you can communicate that easily to the Allbound team - don't be shy of pushing the envelope about where you want to get to so that you can see if they can match your business goals. Giving access to partners on learning materials, price book and playbooks. It is also the only way of logging deal registrations for new business. "Beautiful Design . . . Easy to Leverage"
The overall design and flow (UX/UI) of the website is phenomenal. There is no on-boarding needed, no jungle of landing pages that our partners need to cut through to find the material most worthwhile for them; Allbound is the answer to your typical, dense partner portal. Allbound is a younger company (aren't we all these days) and so new exciting features don't come as often as say... a Facebook update. With that being said, the team works very hard to connect with their clients to prioritize features and development that are the most important. Allbound will not solve a content problem. Make sure you are in a position to actually upload content and to also integrate with SalesForce before you sign on. 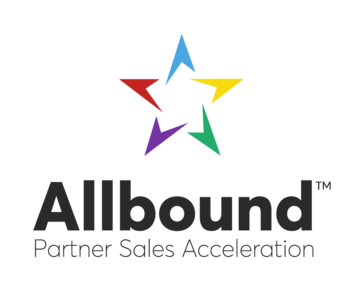 Allbound serves as the portal for my company's Channel Marketing Program. We have been able to upload dozens of videos, webinars, and other pieces of collateral that help train our partners on our products. Our internal sales team are also big fans of the site... it allows them to connect with their contacts and prospects in a more meaningful way. "HOSTING Review - Avery West"
The intuitive platform. It's pretty, simple, and easy to use. With just a few additions of content, our portal was already looking like a custom-built website. We always get compliments on the aesthetics of it, and everyone from our sales team to our executives to our partners is excited to use it. The native gamificaiton capabilities are great as well. Occasionally, strange things would happen when Allbound updated the platform; user permissions would change without us knowing, pictures would change, suddenly some partners would be unable to edit/register deals, etc. I understand that these things happen when changing code, but more preemptive notifications would have been useful. Ensure you already have a content strategy in place and a few pieces of upload to the various sections. Take your time and be very diligent about the Salesforce sync if you plan on doing so. Make sure you do multiple trainings to your internal teams to keep them engaged. Partner communication. We now have regular outreaches with partners and are able to train them on our services in a more cohesive way. "Training Gem Underneath the Covers"
We are just getting started with training and an enterprise LMS was not the right fit at this time. Our existing Allbound partner portal now serves not only as a partner onboarding portal but also as enablement as a light LMS for our company. We can enable partners and our internal sales with enablement training. It would be nice to have Allbound have an option to host training videos. We link them to our YouTube channel now. Sharing content with partners, training, and using Allbound to streamline partners entering deals directly with our Salesforce system. "The most balanced solution for PRM. Has everything I was looking for!" The ease of use and all the customization that the platform allows are really the strengths. The support team and customer success also dedicate more than special attention. An all-in-one platform that definitely replaces a partner portal project, including extra features. So far, I just wanted the platform to be multilingual, at least for Portuguese and Spanish, but I'm sure that functionality is already in the company's development plans. Really a great option to replace a partner portal with the goal of implementing or expanding the PRM strategy. Replaced a Partner Portal project. Personalization for different levels of partners. Integration with Hubspot CRM and Marketing is a great benefit for my projects. Helpping me even on an ABM level. "Great solution to engage and communicate with our partners"
The system is very easy to use from an administrator and partner perspective. We were looking to implement a tool that would engage and give our partners access to everything they need and Allbound ticks all of the boxes we had for content management, training material, events and deal registration. They have also created an integration between Allbound and our CRM that saves me a lot of data entry time and allows me to communicate easily with my partners as we progress through the sales process. Being in another country and drastically different timezone has not proven to be an issue with Allbound as they provide support when I need it and respond promptly to questions that I have asked. The only part that I dislike about the system would be the reporting functionality - it is not easy for me to run reports. We were launching our partner program and we were initially looking to build our own tool but Allbound came up as a tool that represented who we were as a company and the brand we wanted to portray. We needed an easy tool that our partners could use to register leads, access content and view training material. It has saved me a lot of administration time, my inbox is a lot smaller as partners can self-serve and I'm looking forward to scaling our partnership program through the use of Allbound. The level of support offered by Allbound is unparalleled. They go above and beyond to make our deployment successful. From setup to ongoing support. They will proactively reach out to make sure satisfaction is met. There is nothing to dislike from the service I've experienced to date. I'm only adding words in this field to improve the score I attribute to Allbound. Very satisfied with the platform and their pre-post sales support team. Shop around and you will come to the same conclusion. Allbound offers the most comprehensive and cost-effective solution. Take advantage of the customer care and free PS they offer. PRM provides a world-class portal for our channel partners. It serves as a form for training, conversations, announcements, deal registration/tracking and certifications. Having a single forum for all partners to achieve certifications and track deals is a huge time saver for our business. "Allbound is easy to use and implement, highly customizable and great support from the team!" The Allbound team connected Optimizely to a Partner who helped to create a customized section in our Partner Portal for Partners to track their status against requirements in our partner program, access information on their referral payment details, and view information about the customers they manage on behalf of Optimizely. This has allowed the Optimizely Partner team is fully scale and stop tracking Partner information in Excel, and has allowed our Partners access to data in real-time. The entire Optimizely implementation took less than 4 weeks, including this custom build, and we were able to launch quickly and without any issues. Since our original launch (2 years ago), the Allbound team has been incredibly supportive and great to work with. Allbound is an excellent Partner for Optimizely! I would like to see Allbound build out more functionality in the portal, similar to the customized tab we created with a partner. It can also be difficult to manage users at scale independently if you need changes, but the Allbound team can handle through their back-end. Optimizely uses Allbound to manage the Optimizely Partner Program, manage deal registration, and share collateral and content with Partners. The largest benefit to our team has been scale. We can now support a larger number of Partners through the portal and our Community Partner Program, and align our internal Partner Managers to the most Strategic accounts only. "The Software is Great, the Service is Even Better"
The staff at Allbound go above and beyond not only during implementation but also after you've got your partner portal up and running. Our company is fairly new to working with resellers, but the folks at Allbound have been great about answering not only our Allbound related questions but our questions about partner programs in general. Navigation can be a bit difficult sometimes for less technical users but is constantly getting better. Make sure you have content ready to go before launching your instance of Allbound. Partner training has become much easier and requires less time on our end. It has reduced the cost to travel to partner sites to train them as well as showing our partners how much we want to provide them with the best information in the easiest way possible. "The people make all the difference"
We help clients implement and maintain Allbound; our Customer Service Representatives have always been professional and super-eager to help. The Product Development team and engineers are always listening for ideas and working to improve. We have had minor reporting issues AND these are going to be fixed in Q1 2019. Allbound provides easy access to complex campaigns and information partners need most. We help clients organize their assets and maintain freshness of the portal so that partners have just-in-time information. Prospect pages make it easy for them to create custom communications with the most relevant collateral. "Terrific platform for getting a partner ecosystem up and running quickly"
The Allbound design is simple and intuitive, making it very easy to get partners on-boarded and leveraging the portal features quickly. I explored dozens of companies when choosing our partner portal, mostly requiring significant customization, training and very high costs. I was surprised when I came across Allbound, because for a fraction of the price and less than 4 weeks time, I was up and running managing a partner ecosystem of over 600 partners. I really enjoy the flexibility of using the tools (forms, content, deal registration, etc. ), as I continue to find new ways to leverage the platform as I get feedback from partners.While overall the platform feels very simplistic, you have a lot of flexibility to get creative with all the ways you can use it. It would be great over time if the Allbound platform would allow more customization options for the design, making it easier to merge into the look and feel of our website. Although I'm sure this is something that will come over time. Also, during the first 4 weeks of setting up the platform, customer support was fantastic, however, since we've launched, it's taken longer to get help from their support team. I expect this to improve as the company grows. I chose Allbound because I needed a solution for managing my partner ecosystem that was better than just email and CRM. I wanted a way to integrate in developer tools, marketing & sales materials, an event calendar and deal registration all in one place. I needed something affordable and limited setup time and costs, as many of the solutions I looked at were priced based on initial integration fees, plus a $/#of partners/month fee structure. I've now found additional benefits that I continue to add as features in our partner portal, such as: demo unit request forms, MDF request forms, bug reports, partner notifications segmented by industry/product vertical, training webinars and more. Allbound has been extremely easy to integrate and incredibly easy to use as well as train our partners to use. There are some features that I believe are should be standard in the software, however, the Allbound team has been able to customize some options for our team. We've needed to track the number and types of accounts that our partners are bringing to us and enable our partners on new products, processes and thought leadership content. Allbound allows us to do just that! "An Amazing Resource for our Partners!" The Allbound platform is incredibly flexible and user friendly. Our partners love the interface and the ability to easily find content that is relevant for their specific use cases which has increased their overall usage of the platform! Allbound usage equals amazing partners! The Allbound team is great and they are there for you every step of the way! When we rolled out the new partner program at ON24 our biggest gap was that there wasn't an effect way to share large amounts of vertical and segmented content with our partners. From day 1 the Allbound platform has helped our channel partners accelerate their product and sales on boarding which in return has help in accelerating actionable sales opportunities. "Fantastic platform & team! Would highly recommend to any partner team." For our team at Vidyard, this platform has been quite easy to implement & share with our partner community. Would say that the majority of the functionalities are exactly what our agency/solution provider partners are looking for when it comes to partner enablement. Since Allbound is a relatively new platform, there are areas of the platform that need polish for a simpler UX but it is still a strong product so far. If I could have something on my wish list, it would be to have an analytics dashboard to show how partners are engaging with the content that lives in Allbound. We are looking to enable our partner community with online training, content access, and sales tools to ensure they are equipped with the proper technology to effectively position Vidyard to clients. Adding content to the portal is extremely simple and efficient. In only a matter of minutes you can have an entire page created. That there are currently not notifications on a content piece level. We would love to be able to sign up for an alert when content is added or edited. We are now able to provide not only our partners with up to date content in a timely manner, but also our international team. Our international team no longer needs to wait for our office hours to receive content. They can login and download everything they need. "Great Functionality, easy to use"
Managing our growing partner network - especially lead management and sharing material with partners. well eventhough we 've been using Allboud recently but meets requirement needed and plus ease to use ,admin flexibility, the support is on time 24/7 and very friendly , wide variety for creation of contents, great access and facility for reports , easily linked with salesforce , and easy setup and to manage. and i would recommend Allbound . "Evaluated all the major players, they dont compare"
Easy to use - no hidden gotchas! One of the best things about Allbound was the sales process has been consistent with the support. I was blown away by the responsiveness of the sales team and was curious if it would continue into support and it truly has - I really feel like I am important to the whole company. Nothing yet - I think if they had a clearly defined and written out onboarding process it would be great, but I do feel like I am in great hands! Dont let other vendors fool you - they nickle and dime you and punish you for growing. Believe Allbound when they tell you - your success is their success! "Radically Improved How We Onboard, Connect and Collaborate with Our Partners!" Allbound has turned out to be a fantastic solution for our company. With Allbound, we can easily disseminate content amongst our partners, stay in touch with and gain visibility into our partner ecosystem and seamlessly onboard partners. Now that we have it, I don't know how we survived without it! I could not be happier with Allbound and will also mention that you receive a stellar level of training and support. Their team is A+. Honestly nothing. We're very, very happy with it. They're great people and their reps are fantastic to work with. We wanted a product that was easy for our partners to work with, easy for us to maintain and enabled us to track leads - Allbound ticked all the boxes. In addition it has a modern look and feel and the team are super easy to deal with and very responsive. Would like a hierarchy/ability to segment collateral when administrator is creating playbooks etc - currently all available collateral appears in a alphabetised list. No problem for the users - there are plenty of metadata options, hierarchies etc from the user facing views. Make us easy to do business with for partners. Organise collateral into relevant categories. Communicate new features etc through the use of playbooks. "Highly customizable with great technical support to build it out"
We looked at a couple of Partner Portals and Allbound sold us on their hands-on approach. We wanted to customize the entire Deal Reg process (creating Leads instead of Contacts as per their default integration) and their Team of highly technical folks provided great support throughout the entire process; from looking at our process doc (with the business requirements to the technical setup) to giving us best practice suggestions to jumping on calls and helping us implementing those processes. I know very little vendors who are able to jump in a third-party tool (in our case Salesforce) and build custom processes. But it doesn't stop there; the first few months, the team closely monitors the audit logs and tells us when they are fixing/updating items to facilitate the integration. And since then, we can reach out to our Customer Success person or the technical team and get an answer within the hour (if not sooner). If this putting your customer success at the center of everything you do, I do not know what is! The client still needs to know exactly what process/flow they want to see, put those recs together and have a resource (preferably your CRM Admin) to work closely with Allbound. It would be great to have an SFDC/Allbound package so that more of the integration is in the hands of the client. Make sure you understand how will be doing the integration between Allbound and your CRM and what it will look like in terms of time, resources, etc. We now have a one-stop shop for all Partner Resources, Partner Trainings as well as a way for us to streamline deal registrations and measure them (we built a dashboard in Salesforce to see that progression). "Great Platform and Great Company to Work With"
I like how responsive and supportive the Allbound team is. They never tell you no and always try to find a solution. The platform itself has some limitations when it comes to truly tracking a partner or partner company's progress/partnership. Deal Registration and the LMS have been our favorite functions of the PRM. Also being able to store sales and marketing resources in one place and deploy role-based access to different areas of the platform is great. "Great Product and Awesome People"
Allbound is a great system for maintaining records for our partners. They are able to easily search for the marketing materials they need, as well as view their opportunities in the pipeline. The prospect pages are especially useful for sharing information quickly and easily. The integration with Salesforce can be a bit tricky if you have many customized SF fields like we do. But the support at Allbound is awesome and helped us work through things. We used Allbound so our reselling partners would have the ability to independently pull the collateral they needed for their deals. The benefit is they did not need to come to our consultants directly so everyone was able to make better use of their time. The absolute attentiveness to customer service. The response time to customer needs. The professionalism. The platform. The ease of use. The positive attitude. Unlimited meetings to get me where I needed to be. Zoom as a meeting platform. The look of the finished portal. Not having more than 40 characters for the what I like best field. Perhaps some more ability by customer to eliminate some unneeded buttons, etc. Seriously the best Customer service that I've been associated with in a very long time. Every serious Channel program should have a Channel Partner portal. The benefits? Saying we have a Channel portal. "A friendly, professional and helpful business experience...."
The team at Allbound are exceptional, friendly and a partner in business. The benefits if the platform far outweigh the costs. It was pretty straightforward to link to Salesforce and set up the workflows we needed for Partner Deal registrations. We had a pay by the licensed user model from Salesforce partner portal and it was beginning to cost us an arm and a leg and left us not wanting to give "too many" partner portal logins out due to the cost = illogical. Sophia and Kraig are very informative and helpful, they're experienced and ready to assist and always ready and available to help. There are a few reporting limitations and having the ability to drill down on the visitors to the prospect pages. Partner engage, training, and file sharing. "Great Tool for Partner Management"
Nothing negative. They are continuously adding more features which is good. Like any system you get back what you put into it. Understand you needs and discuss any use cases with the team. This tool allows us to more effectively engage with partners and share content. The benefit is it makes us more credible and easy to to do business with which translates into more sales. "All the things you need for partner engagement"
I like the partner portal where partner can register deal and we have it configured to sync to CRM as a lead. I would like more analytics from the service. Allbound does partner management right. It has the partner portal your partners can login to and register deals or get trained on marketing collateral and all of this syncs with your CRM. "Awesome platform for tracking referral program tracking"
Allbound makes it really easy to manage our numerous referral programs. Make sure that you have your referral programs lined up prior to onboarding. It will help to streamline the process. We have a variety of referral programs running and it was really difficult to manage with SFDC. Allbound makes it super easy to manage our campaigns and track against our KPIs. "Allbound is very user friendly." A few of the features or functionalities we would like in a PRM are missing. It is a very good product. It is easy to set up and customize as you choose. The support is awesome as well. I haven't started to realize benefits yet, just now onboarding partners. My hope it the tool will allow me to attract and onboard more partners and keep them engaged and enabled to sell our product. It’s easy to search for content within the platform. The LMS platform is great and makes it easy to work through courses. The user interface is confusing and difficult to navigate. It would be more useful if it was customizable to point out specific content pieces to users based on things that are new or pin content for users automatically. I love working with Katie and Ruli, they are quick to answer questions and always find a solution. Sometimes I think that I can do something, but it's not quite what I can do. I wish I could break up admin rights into more details. Or that I didn't have to click so much to get into the setup/options. We have a great place to direct people now, to hold content, to provide trainings. I don't have to hand-hold every single salesperson out there. I can point them all to one place. They don't have to email me with leads—it goes straight to our Salesforce and that's amazing. "Good product for building our new Partner Program on"
The ability to set up the knowledge center along with the look and feel of it. It is taking forever to implement but we are working swiftly to have a accurate and successful launch. Give yourself plenty of implementation time. Solving for a portal for our partners to use to drive business to us and allow for them to be able to find all the content they need. Prospect pages are killer. Great way to share content when a prospect wants something aside from video. I think the playbooks will also be big for us. I wish there was a way to include user generated videos on the prospect pages, and also a way to add one-off content, like a proposal. Arming partners with content, from the beginning of conversations all the way to post-sales. * We monitor all Allbound PRM reviews to prevent fraudulent reviews and keep review quality high. We do not post reviews by company employees or direct competitors. Validated reviews require the user to submit a screenshot of the product containing their user ID, in order to verify a user is an actual user of the product.